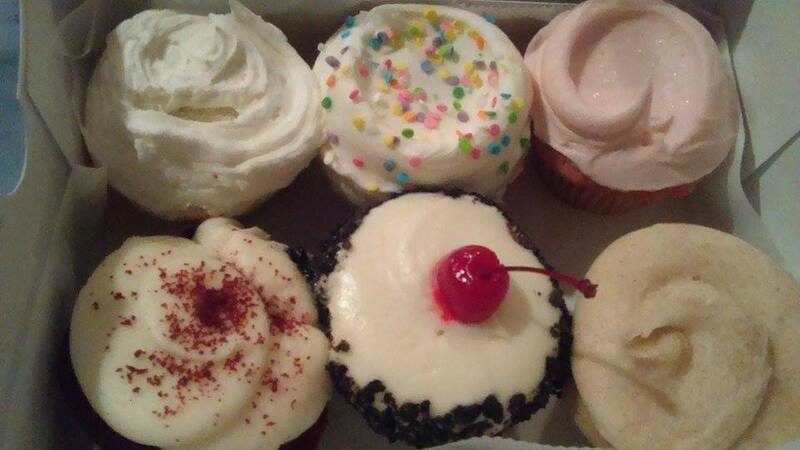 I found a new favorite cupcakery in Omaha! It used to be Jones Bros. but now it's Cupcake Island. I had stopped getting Jones Bros. when I was in town, because they just started to disappoint - too sweet and heavy overall. 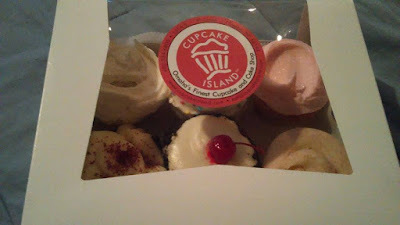 But Cupcake Island not only has beautiful cupcakes, but they're truly yummy too! I tried Red Velvet, Black Forest, Strawberry, Snickerdoodle, Birthday Cake and Vanilla and there were really all highly edible. The frosting wasn't as light as I like, but not too sweet or grainy either and the cakes were all fresh and tasty. If you're in Omaha, skip Jones Bros. from now on (unless you want a cronut or a macaroon), but head straight to Cupcake Island for gourmet cupcakes instead!